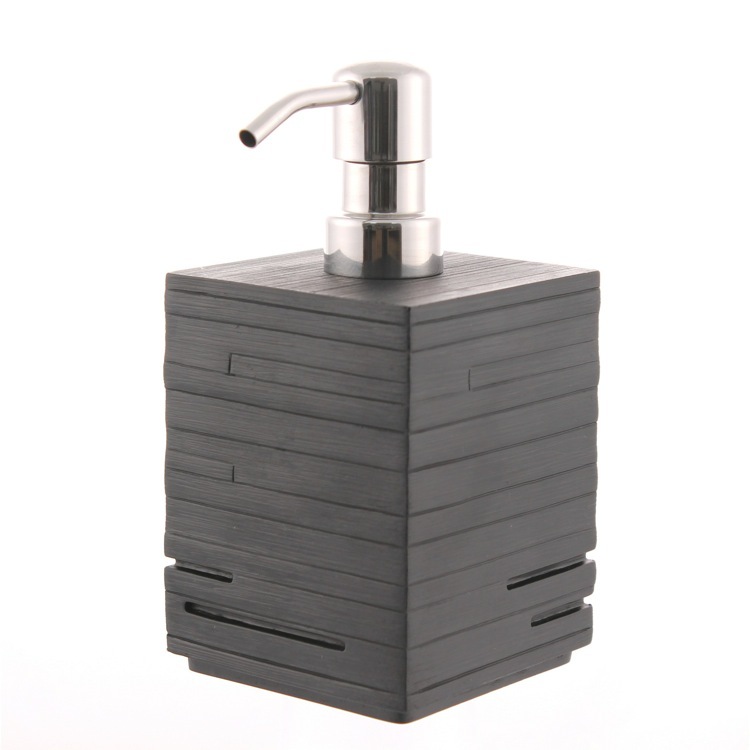 The ultimate luxury bath accessory, the squared ebony soap dispenser from Gedy is a luxury soap dispenser made of black thermoplastic resins. It's also practical, with a solid rectangular body. With a slick, polished finish and dimensions of Width: 3.23" Height: 6.30" Depth: 3.23", it will make a prime addition to any bathing area.